This beautiful swing frame is made of acacia wood. 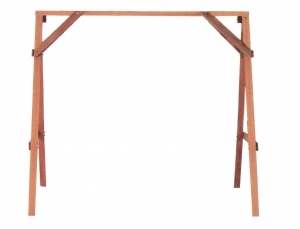 With its strong A-frame design it can be used to hold any of our swings up to 5 feet (60 inches) in width. It comes with heavy-duty metal hardware. Assembly is required and instructions are included.